In 1999 the Literature faculty and the Program in Writing and Humanistic Studies at MIT invited Harry Mathews to present on Oulipo. The complete recording is available at Harry Mathews's PennSound page. 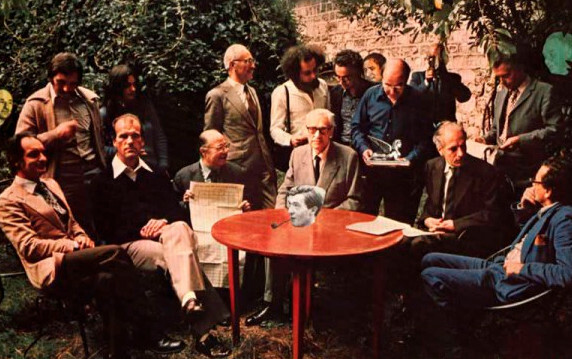 And we have segmented the audio — making available separate links to audio recordings of his introduction, his remarks on the Oulipo group, a brief Q&A session, and several readings of lipograms and N+7 writing. As a service particularly to those who don’t know much about Oulipo, Nick DeFina at PennSound has created an edited 15-minute excerpt of Mathews’s general overview. Now Emily Harnett offers an introduction to this 34th episode in the PennSound podcast series.